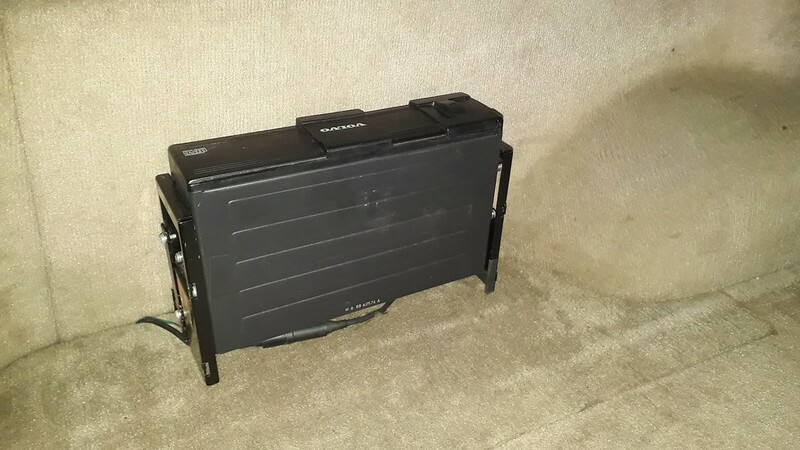 I picked up this CD changer and bracket from a breakers yard a few years ago. The bracket sort of worked in the 854 I had at the time. 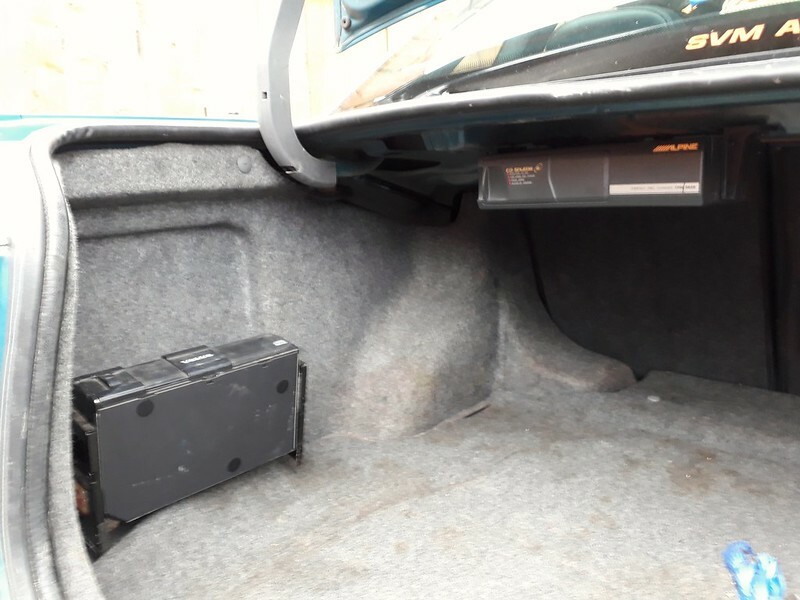 Some time later I found an Alpine unit with a neater mounting arrangement then, on discovering it was identical to the Volvo unit, used its mountings to relocate the Volvo unit. It stayed like that until I replaced the 854 with an 855 last year, when I took it all out. Last week I decided to see if I could make my bracket fit the 855 and realised it must have been made for the car. 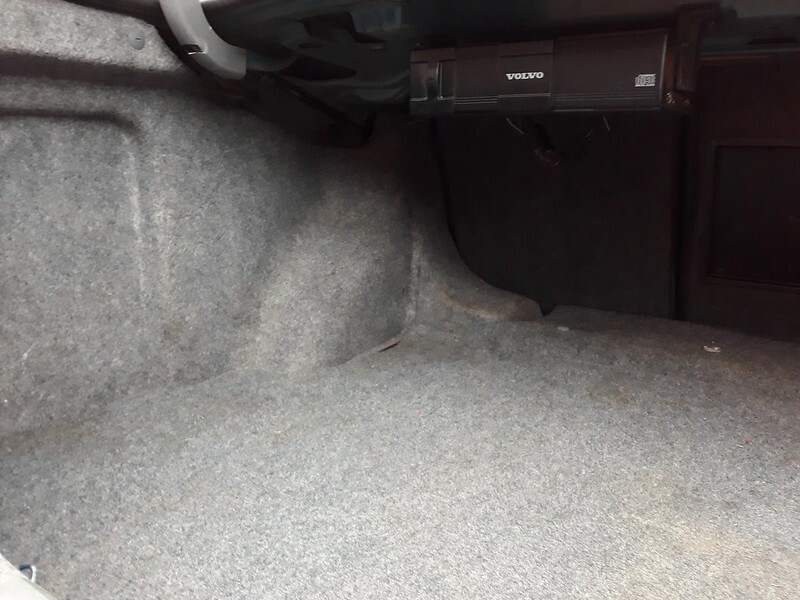 It lined up with bolts that were already there and fitted perfectly around the floorboard. It's working nicely but I have a couple of questions. Was this a cheaper dealer option that was offered alongside the raised floor panel arrangement? What are you supposed to do with the wires? Since taking the picture I've pulled them out from under the bracket but I'm looking for a neat and safe way to route them. Should the power supply be switched or permanent? I have it connected to a permanent live on the antenna amplifier supply at the moment. My feeling is that it should be permanent because it would be bad to suddenly remove the power while it's playing, I could be wrong about that though. Is there a reasonably priced source for the raised floor type brackets? I have found one place listing them at $73, which is a bit more than I want to spend, especially as I'd have shipping to the UK to add to that. I do have the panel to go with it.